I’ll be honest, we’re more impressed with the packaging than the end result of My First Levi’s. We spotted this box in Selfridges, but when we opened that cool branded case, we noticed that the jeans didn’t quite live up to it. Yes, there’s a red tab, but the denim is worn and the patch isn’t the classic Levi’s one. 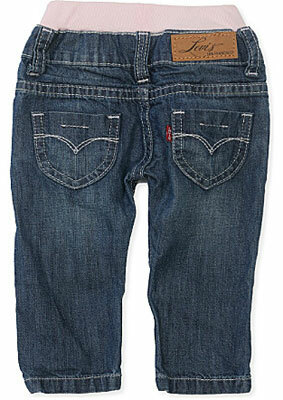 But if you want your little one in jeans as soon as possible, they are still worth a look. 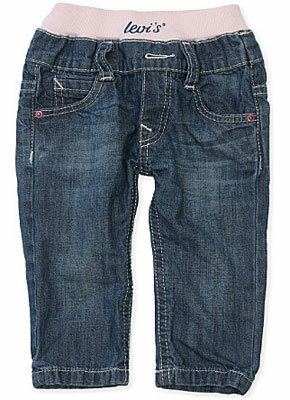 Sizes are three months to 24 months, the price is £45. 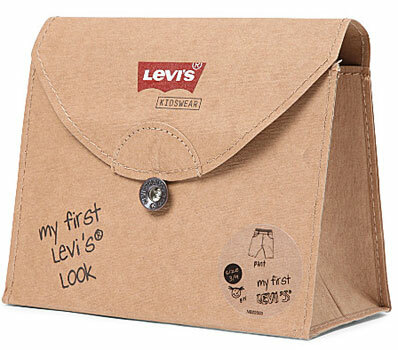 Also, note that there’s a boy’s version too on the Levi’s site with the authentic patch, but we’re not sure if you get the packaging. You can find out more here.